So this is the first in the series of Bake Off Baking, I know I’m 3 weeks late…☺️ Last year I baked something weekly according to the theme but this year my hips won’t lie so that is not an option. This year I am going to share yummy recipes relating to their weekly theme. 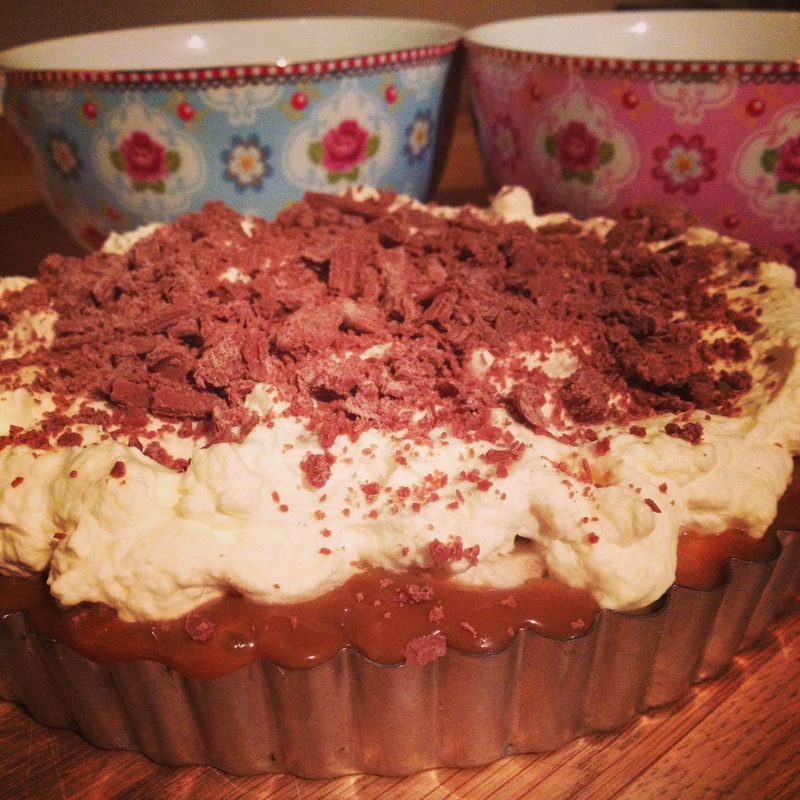 This week it is desserts so ahead of tonight’s show here is one of my favs to whip up. I made a large one last year but was feeling particularly gluttonous so here is a slight alternative. Add a good dollop of caramel and chopped bananas on top. Pop the whipped cream on top along with a sprinkle of flake and you are done. Leave in fridge to cool and take out 10 mins before scoffing!